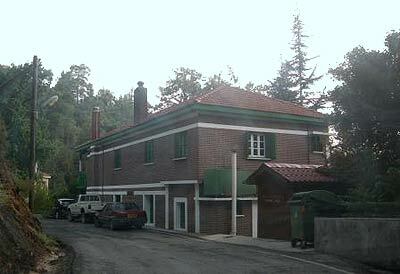 Stavros tis Psokas is a forest station ran by the Department of Forests. It is located in the heart of Paphos forest in Cyprus, at an altitude of about 900 meters. It is located approximately in the middle of the way from Paphos area to Polis Chrysochous area - not on the route to be precise, as at some point you will have to turn and drive for about 20 km to reach Stavros tis Psokas. It is about 30 km from Paphos / Kato Paphos area and about the same distance from Polis Chrysochous. In driving terms, it will take you about an hour's drive to go there, or even more. This happens because once you leave the main road of Paphos - Polis, there are pices of yhe road that are curvy and you must reduce speed. For any nature lover is a must visit place. There are two main routes to the area, one from Panagia village and a second from Lysos village in Polis Chrysochous region. From Panagia village there are two routes, one surfaced road and one unsurfaced road. The unsurfaced road is in good dondition and easy to drive in the summer, mabe except of the inevitable dust. During the winter, especially after a good rain, this road can be difficult or even dangerous to use and it is better to avoid. The route from Lysos village at Polis Chrysochous region is also a surfaced road. The forest station is responsible for everything in the area and the staff there is very helpful, so if you visit the area, paying a visit at the station is a good advice as a starting point to get all the information you need and first hand help and advice. Although the staff here will definitely dedicate 20-30 minutes to help you, in case you want their services for longer period and for a guided tour in the area, you should send a written application to the Director of Forests Department in advance for their approval, please call them for more details. Stavros tis Psokas forest station telephone number is +357 26991840. Being in the forest and at such an altitude, Stavros tis Psokas is cool and humidity – free during the summer and cold in the winter. Even during the summer, nights can be cool. First and foremost this is a serene place where you will enjoy piece of mind in a majestic, virgin pine forest. Still there are a few things you can do in the area. First thing is to visit the fenced area with agrina (mouflons) and deers. 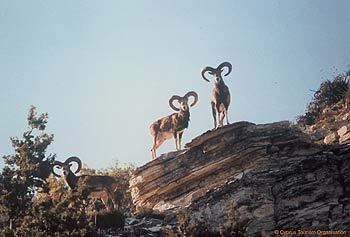 Mouflons (in Greek agrino, plural agrina) are native wild sheep, only found in Cyprus. They are very beautiful animals and are renowned for their ability to run and climb on very steep terrain and slopes. Watching them is a very nice experience for everybody, but especially for kids. Hiking at Stavros tis Psokas: There are two nature trails at Stavros tis Psokas area, which you can walk, Chorteri nature trail and Selladi tou Stavrou nature trail. While walking the nature trails you enjoy spectacular views of Paphos forest. At the same time, as these are organized nature trails, every now and then there are wooden signs about many different type of plants and trees you meet, with interesting information for each one of them. Chorteri nature trail is a very difficult trail to walk. It is a circular trail, which means that you will end up and finish your walking at the point where you started. Chorteri nature trail is about 5km in length, but still requires well more than two hours to walk it, because of its high difficulty degree. Selladi tou Stavrou nature trail on the other hand is an easy to walk trail, suitable almost for everybody. Its length is about 2,5 km and you can easily walk it in about 60 minutes. From Stavros tis Psokas you may also visit the Cedars valley. Located about ten km from Stavros tis Psokas, it is a very beautiful valley with giant, centuries old, cedars, a variation of the tree only found in Cyprus and neighboring Lebanon. The road connecting Stavros tis Psokas with the Cedars valley is unsurfaced but in good condition and easily driven by any car, provided, of course, that you drive carefully and slowly. There are no restaurants in the area, there is only one convenient store which also provides food. At the store you can order hot sandwiches and soft drinks, but if you are looking for something more, then you have to call them a day before so that they will arrange accordingly. Only during Saturdays and Sundays in August they do offer ready made food. You may also use the Stavros tis Psokas picnic site, where you can bring and prepare your food in this dedicated area. 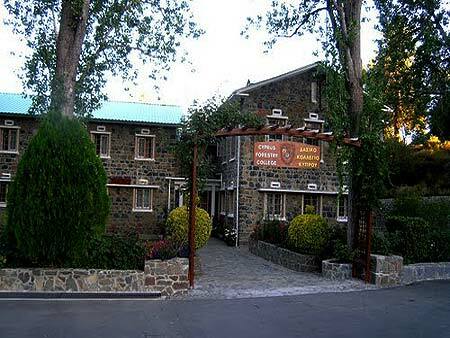 The picnic site accommodates up to 600 persons, there are dedicated places where you can light up a fire to bake your food and there are also toilets and potable water. Located very close to the forest station and the convenient store, you can use the latter to buy your refreshments in case you don’t bring them with you. Using the picnic site is free of charge. If you plan to stay at Stavros tis Psokas, there are only two options, the Stavros tis Psokas camping site and the Stavros tis Psokas guest house / rest house / youth hostel. I would like to give my special thanks to the personnel of Stavros tis Psokas forest station for their invaluable contribution in writing this article.